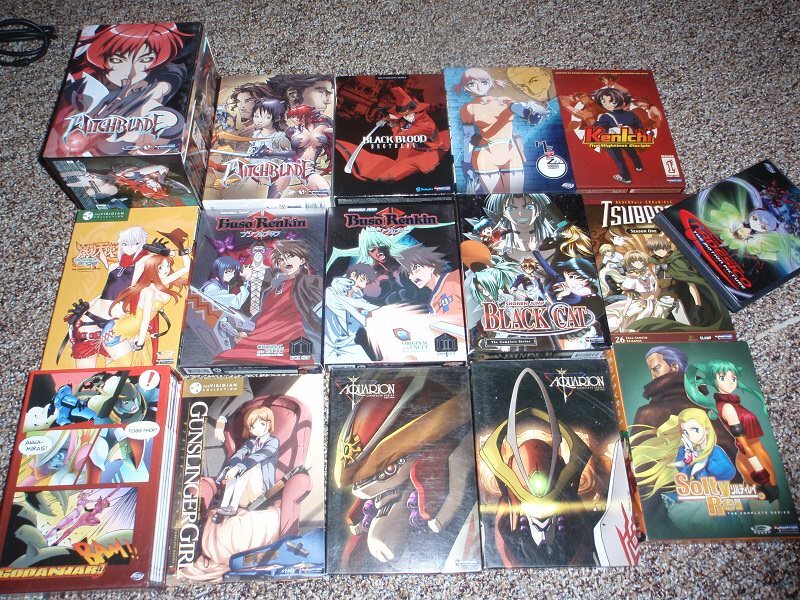 This is a good chunk of my anime collection and I simply don't watch these anymore. Need to purge. The discs are pristine- I take care of my stuff. These are full sets unless otherwise noted. Prices include shipping. Paypal only, please. Nest up is my old Dreamcast. Everything is pretty clean. Comes with a controller, memory unit and a copy of Phantasy Star Online (ver.1) and Sonic Adventure 2 demo. Just tested it- everything works fine. Last edited by glaman5266; 12-24-2018 at 10:21 AM. Trades for anime? The step daughter is anime addicted. I will show this thread to her this evening and see if any of these are of interest to her. Yes, I will take trades. Looking for Phantom stuff, cocker pneus in black or blue, a gloss black front block, or a spring kit. I'll also look at 2k2-2k3 BKOs and Bushmasters. I've got a phantom uc kit and a rf open class breech if you're interested for the Dreamcast. Dreamcast is gone. Feel free to make offer for anime.